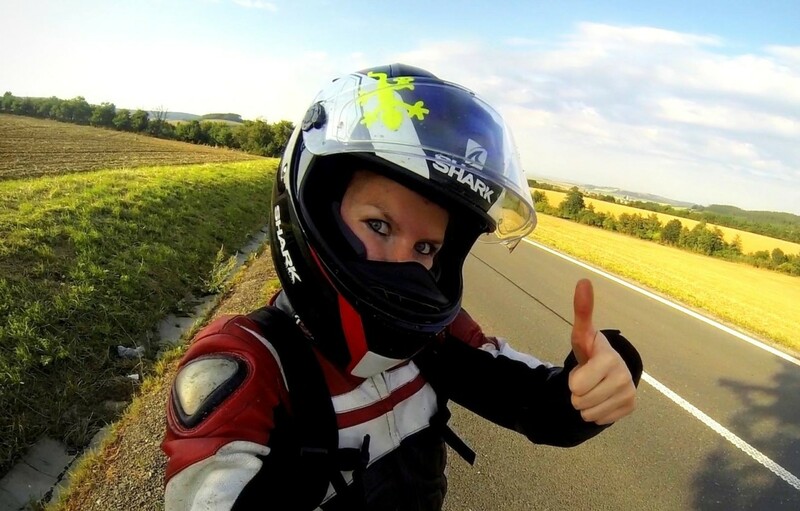 Motorcycling woman Zuzle from the Czech Republic rides a Honda CBR600RR, “We are one body and one soul.” A feeling many riders understand. 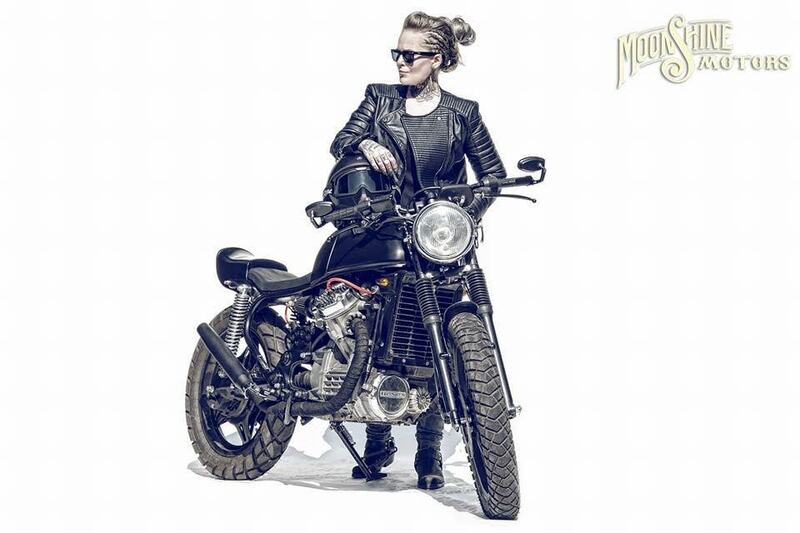 Polish motorcycling woman got her first bike, a Honda CX500, customized by Moonshine Motors to reflect her style and personality. Recently, my buddies Travis & Jessica eloped to Ireland and got hitched. Before hand, they took some adorable motorcycle engagement photos. 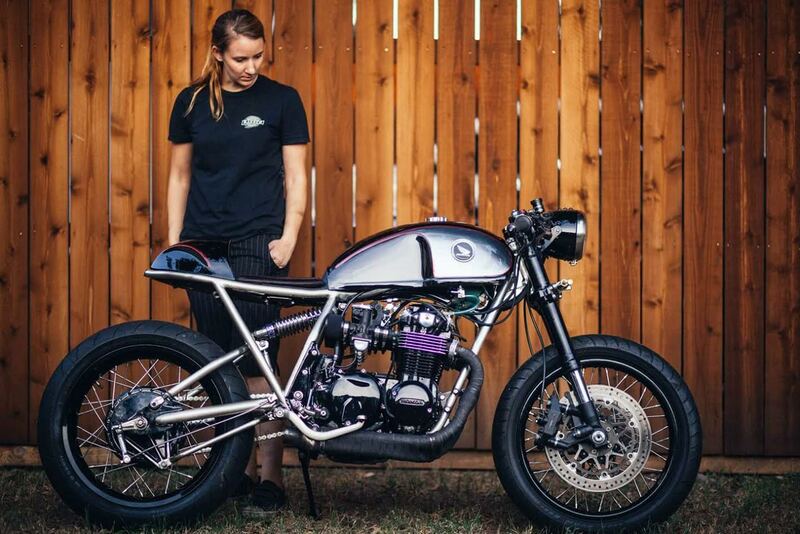 Sofi Tsingos of GT Moto is selling the custom Honda CB550 cafe racer she built as her personal ride. 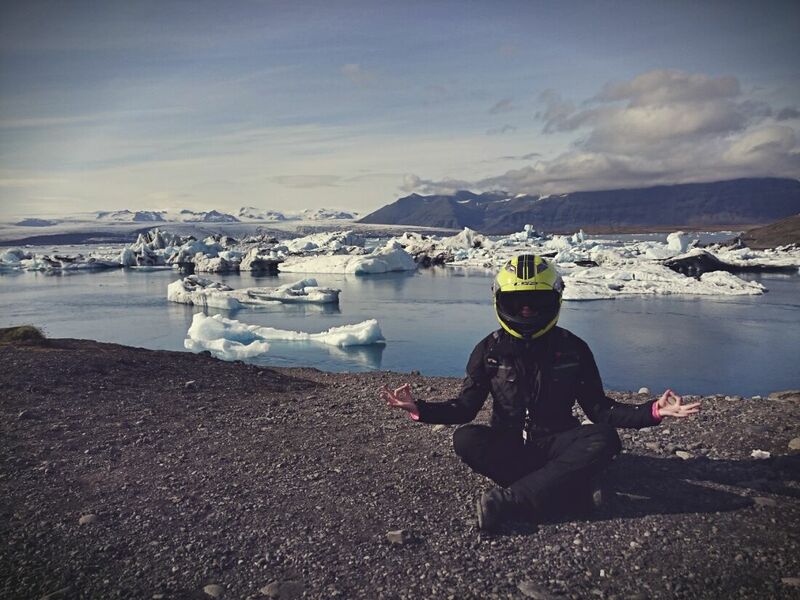 Weronika Kwapisz is a traveler from Poland with adventure in her heart. 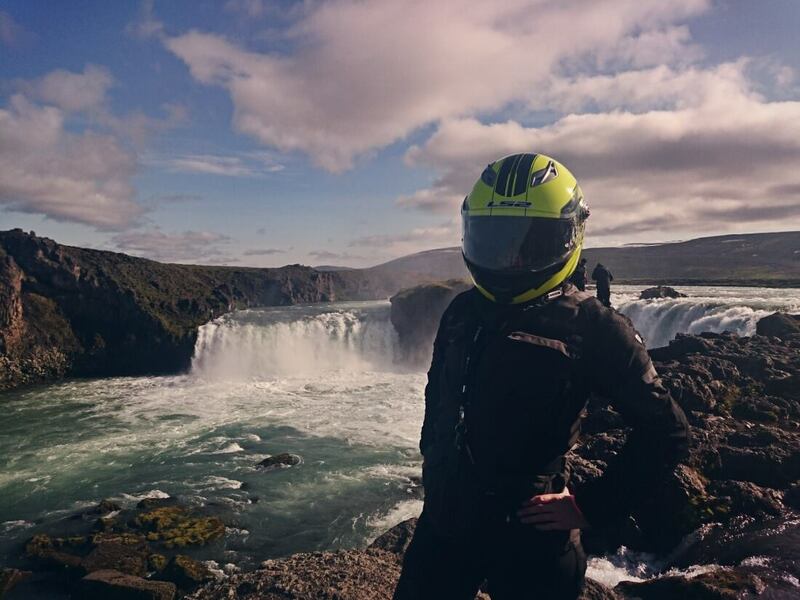 Previously completing a 12k mile journey across America on a Bonneville, she’s in the midst of riding across Europe on a 125cc Suzuki Van Van motorcycle. Yep, over 10,000 miles on 125ccs. 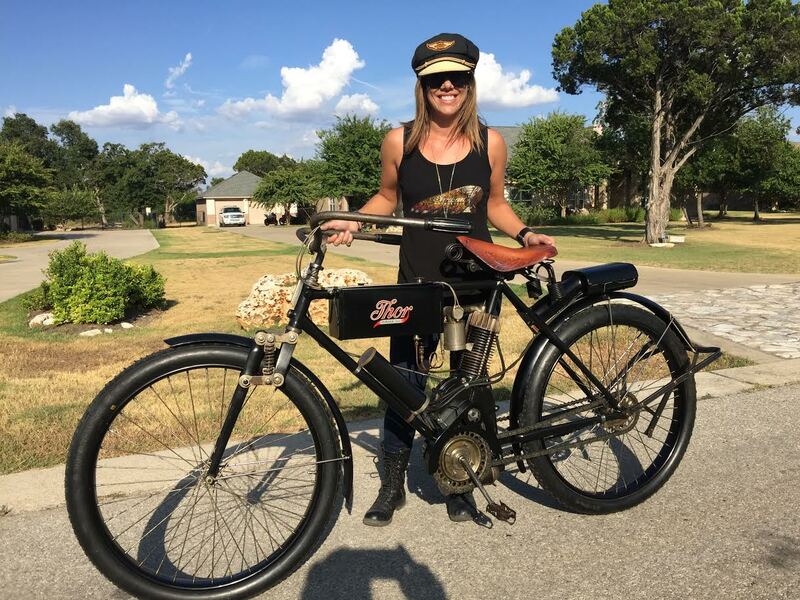 Rider and motorcycle builder Krystal Hess rides one of two 1908 Thor motorcycles in the entire world and tells us about the experience. 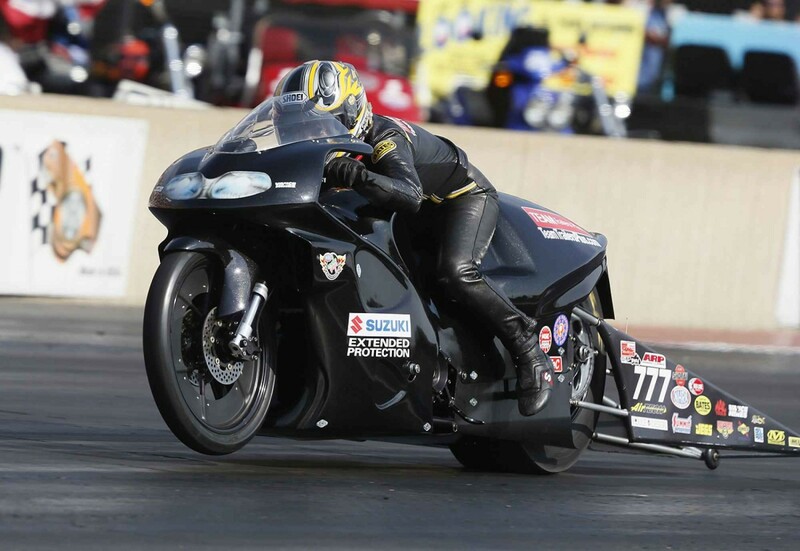 For the third time in history, the NHRA has had a pair of female finalists in their Profinal round. This time, Karen Stoffer wins against Angelle Sampey. 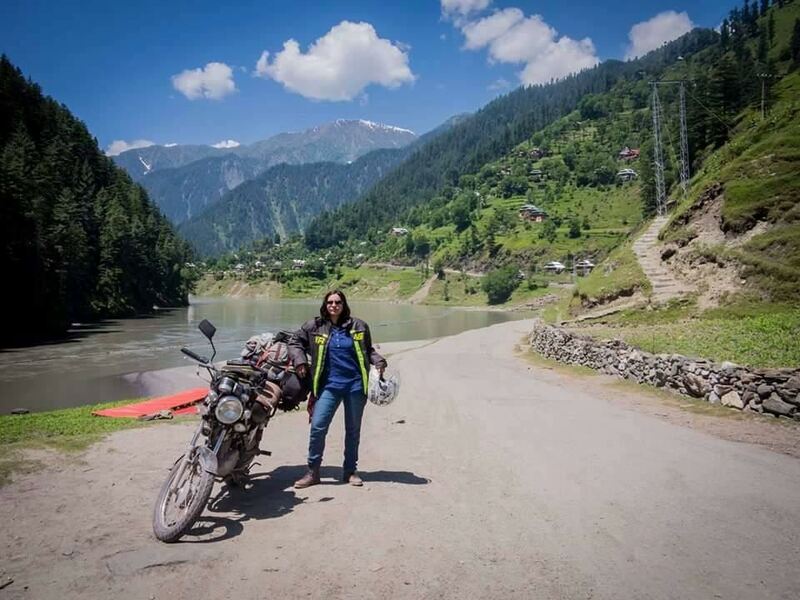 Zenith Irfan, a 20 year old Pakistani lady rider, recently smashed societal expectations heading out on a week long solo road trip in a very challenging area called the Kashmir Belt. 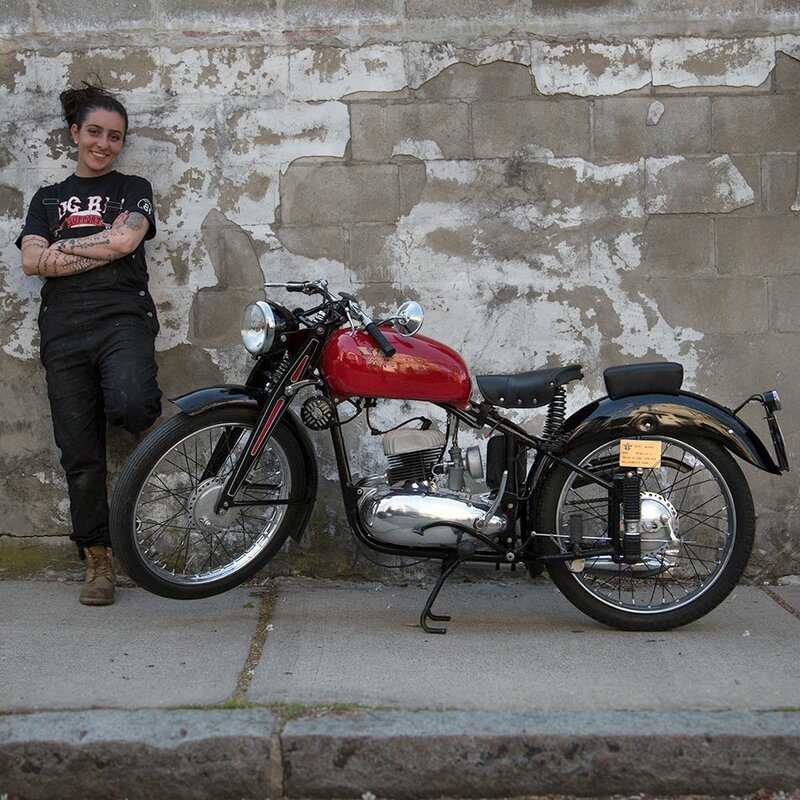 Mechanic and motolady J Shia of Madhouse Motors with the newly finished 1950 Moto Morini restoration.